Shedding some light on the mysterious Lord of the Rings TV series that is being produced at Amazon, the Head of Amazon Studios has revealed a few details about the upcoming series, including that it will feature the return of a number of beloved characters from the franchise. The upcoming Amazon series was announced back in November after the studio seemingly spent an arm and a leg to purchase the rights to the series. 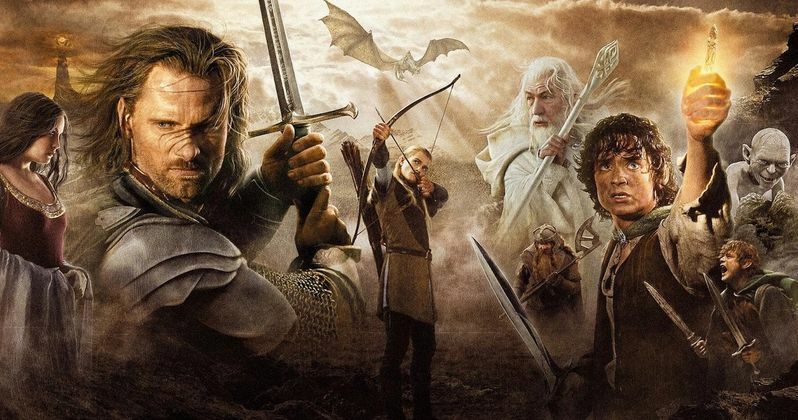 The Lord of the Rings movies were a big hit during the early 2000s, and the return of the franchise with The Hobbit may not have had as great critically, but the movies still made an enormous profit. Because of the success and popularity of the franchise in the past, it's very likely that the upcoming Lord of the Rings TV series will be met with a similar reception. Since the announcement of the series, many Middle-earth fans have been wondering when and where the series will take place, and who it could follow. Without giving away any specific details, Jennifer Salke, the Head of Amazon Studios, revealed to Deadline a little bit of what to expect from the new Lord of the Rings series. Here's what she had to say. "I think you can know that we're not remaking the movies, but we're also not starting from scratch. So, it'll be characters you love." While this doesn't give us much information, it does tell us that it won't be completely separate from the stories we already know. The big questions is, will the characters they bring back be recast, or will they bring back the original actors? Some actors have already expressed interest in reprising their roles in the upcoming series, such as Ian McKellen, who received an Oscar nomination for his portrayal of Gandalf the Grey in Lord of the Rings: The Fellowship of the Ring. On the other hand, other actors like Andy Serkis, who played Gollum, have confirmed that they will not be coming back. Among those who have confirmed that they are not coming back is Peter Jackson, who helmed both the Lord of the Rings and Hobbit trilogies. Jackson has expressed zero interest in having any part in the upcoming TV series, presumably being preoccupied with his new franchise Mortal Engines. Despite this, Jennifer Salke has revealed that they are still in talks with Jackson to at least give him some involvement in the new series. "The Peter Jackson conversations, right now we're right in the middle of them. It's like, how much do you want to be involved, how little? I know there's been some discussion, and he's even said some things, but as far as I'm aware, the latest is that we're just in a conversation with him about how much or how little he would be involved." All in all, the future looks bright for Lord of the Rings fans. This update from https://deadline.com/2018/06/amazon-studios-head-jennifer-salke-strategy-lord-of-the-rings-series-transparent-future-qa-1202407283/|Deadline reveals that the new series will not be as separated from the previous trilogies as some had predicted. While we still do not know specifically who or what we will see in the new series, it's good to know that it will be familiar.